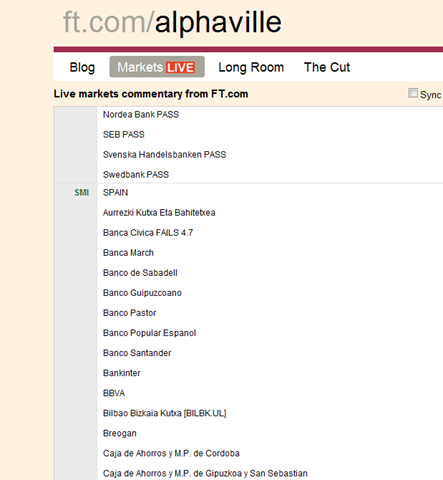 FT have been running the CEBS announcement on European bank stress test live since 16:45 BST. Biggest surprise the the small number of failures. One Spanish bank is all I picked out so far. Portugal, Italy all passed. I have seen nothing on Greece as yet. More later.